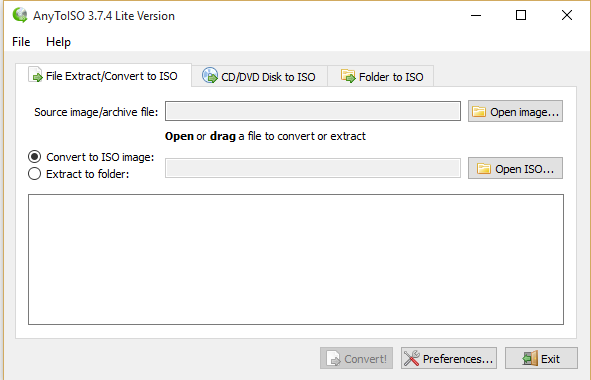 ISO image file can have entire content of a CD, DVD or any other external drive. ISO file is much like a Box that contains all parts for anything so that we can assemble them to make original stuff. So is the case with ISO file. ISO image is even capable of keeping files of installing Operating system. With the availability of ISO image, we can make USB boot-able an install any OS to our Systems. We can convert any file or folder of Windows 10 into an ISO file so can it can compress the actual size of data and we can easily share it to anywhere we want to. AnyToISO freeware tool is available for Windows 10 that can easily converts any folder or file to ISO. It can make ISO image of any file or folder. It can make ISO image of CD/DVD. First open the any folder from your system, and click on “Make ISO”. 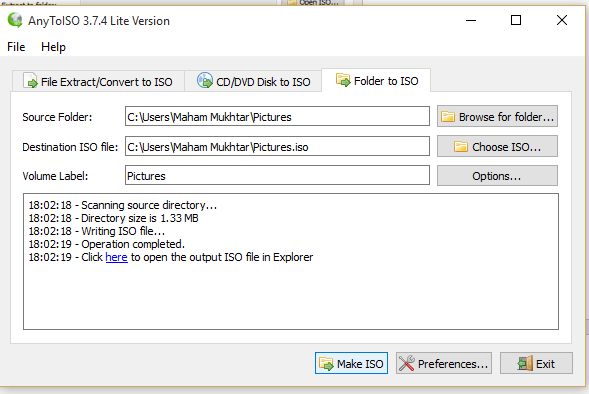 The destination of ISO image which is going to create, is also auto generated by System within the same folder. After 5-10 seconds the ISO image of that folder will be created and available in your destination. So, these are very convenient and simple way to make any folder or file into an ISO image and share it with anybody to anywhere. The basic tasks can be done by using AnyToISO tool. Have fun and keep on making ISO images to transfer/share big programs over internet. 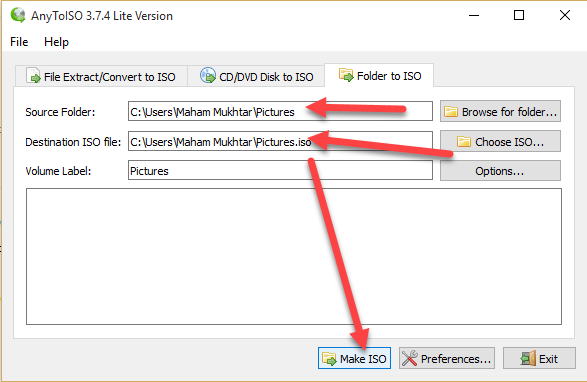 Which method do you use for converting a set of files and folders into an ISO image? Useless article! Couldn’t you mention it doesn’t handle files larger than a CD with the free version?!!! !